This video shows you the steps to install VMware Workstation 15 Pro in Linux Mint 19.1 Tessa, which allows you to create virtual machines and install an operating system such as Windows. Step 2: After installing Linux Mint, you need the VM Workstation 15 Pro virtualization program to run a Windows, Linux or even macOS virtual machine on your Linux computer. Step 3: Download VMware Workstation 15 Pro for Linux from your computer. Step 4: After you download VMware 15 Pro to your computer, press CTRL + Alt + T to open the Terminal. Step 5: Before installing VMware 15 on Mint, update your package list with the command “sudo apt-get update”. Step 6: You must install GCC-dependent packets to run VMware in Mint. Follow the instruction “sudo apt install gcc build-essential -y” in Terminal. Step 7: After installing gcc packages for Workstation, go to the location where you downloaded the VM Workstation in Terminal. Step 8: To make VMware-Workstation.bundle file executable, apply “sudo chmod + x VMware-Workstation-Full-15.0.4.x86_64.bundle” at the terminal. Step 9: Now, to install VMware 15.0.4 on Mint 19.1 step by step, use the command “sudo ./VMware-Workstation-Full-15.0.4.x86_64.bundle”. Step 10: In the setup window, accept the license agreements and complete the installation. Step 11: Watch the entire video to install VM Workstation 15.0.4 Pro on Mint. This video shows you how to install VMware Workstation 14 Pro on Linux Mint 19.1/18. 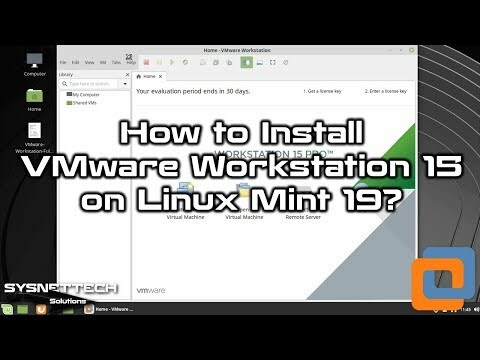 NOTE: Follow this video tutorial to install VM Workstation 15 Pro on Linux Mint 19.1. Step 1: If you have not done Mint installation before, please refer to the following video. Step 2: After installing Mint 19/18, click on the link below to download Workstation 14.1.3 Pro for Linux to your computer. Step 3: After downloading VMware 14 Pro, open Terminal. Step 4: First, run the “sudo apt-get update” command to update the package list. Step 5: Run “cd ~/Desktop” to go to Downloads in Terminal. Step 6: Before you start installing VMware 14, install the development tools. Step 7: The VMware installation file on Linux has a “.bundle” file extension. Step 8: Run the following command in Terminal to make the “.bundle” file executable. Step 9: Now run the following command to start the VM Workstation installation on Linux Mint 19/ 18. Step 10: If you encounter a “gcc-7” error when installing VM Workstation 14 on Mint, install the gcc-7 package on Linux Mint 18/19 by running the following command. 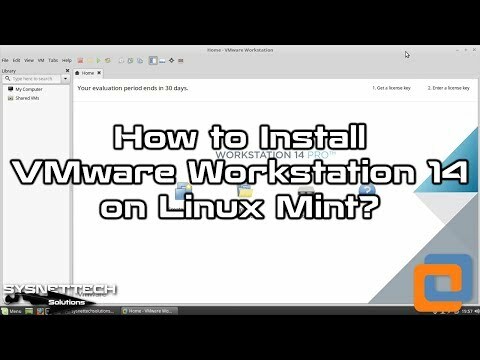 Step 11: Watch the entire video for step-by-step installation of VM Workstation 14 Pro on Linux Mint 19/18.